Be familiar with the place in which you will speak. Arrive early. I usually suggest no less than 6o minutes before the start of your session. Practice using the microphone and any other audiovisual equipment you plan to use. Greet your participants as they arrive. It’s easier to speak to a group of new friends than to a group of strangers. Move around the room and chat with everyone. If you’re not familiar with your material or are uncomfortable with it, your nervousness will increase. Practice the delivery of your workshop. If you must refer to a prepared script than practice reading sections and maximize eye contact with your audience. Ease tension by doing exercises and stretches. Simple push-ups on the wall can work wonders. However, you do other things like practicing your smile and stretching your face muscles. Don’t forget to stretch those neck muscles too. Oops did I mention deep breathing? 5. Visualize yourself giving your workshop the days before and as you travel to the workshop site. Imagine yourself speaking, your voice loud, clear, and confident. See your participants looking attentive and interactive. When you visualize yourself doing a good job, you will be successful. 6. Believe that people want you to succeed. Most workshop participants want you to be interesting, stimulating, informative, and entertaining. They don’t want you to fail. Don’t you feel the same way about your trainer and facilitator when you are a workshop participant? If you mention your nervousness or apologize for any problems you think you have with your presentation, you may be calling the audience’s attention to something they may not have noticed. Keep silent. Remember -if you point to the sweat, they will see it! 8. FOCUS on your important messages. Focus your attention away from your own inner anxieties, and outwardly toward your messages and your audience. Your nervousness will dissipate. 9. Gain experience by presenting as often as you can. 10. 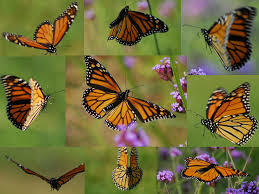 Put your butterflies into a flying formation by turning your nervousness into positive energy. Harness your nervous energy and transform it into vitality and enthusiasm. Allow your passion to ooze out whenever possible. Have fun!